Source: Goodreads. Fair Use - commentary. 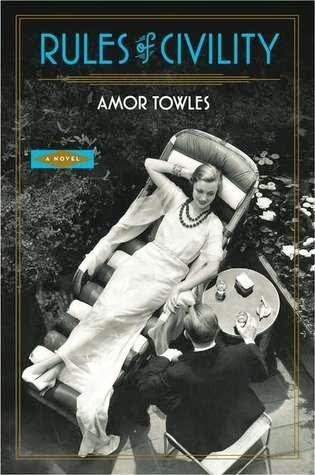 I hate Amor Towles. I want to chuck his Rules of Civility against the wall. Because I can never write like that. Why I love the book: Pretty prose. Deep melancholy. Thick atmosphere - I felt transported to 1940s New York City. And look at that cool retro cover. Mr. Towles is a huge literary talent. If I had his verbal gifts, I'd have something more insightful to say here.